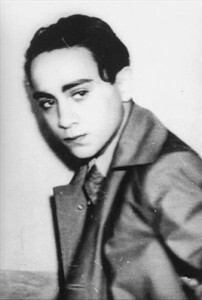 Let’s not allow another Kristallnacht anniversary to pass without paying homage to Herschel Grynszpan, the Jewish teen responsible for this night different from all others. Herschel, a seventeen year old Polish misfit was adrift in France and disgruntled over his parent’s deportation. On November 7, 1938, he strode into the German Embassy in Paris and requested a meeting. When ushered into an office, he fired a concealed revolver and mortally wounded Ernst vom Rath, the Nazi diplomat. Two days later on November 9th, 1938, Kristallnacht. Herschel was a smart boy. Whipping into action, he claimed he was having an affair with vom Rath, a homosexual. In the Third Reich, it was admirable to be a brute and a sadist–but a feigelah? Verboten. Suzanne Friedman is a talented agent who writes, rescues beached creatures, fashions Jewish jellyfish from yarmulkes and tzitzit, and is the mother of Carlen Altman–creator of Jewish Rosaries. herschel was not responsible for kristallnacht. i thought a heeb writer would be a little more thoughtful before assigning blame to a jew for nazi atrocities. oh and ‘kristall lite’, i get it, because he was gay and therefore not a real man or something, like crystal light is not real ice tea. classy. The article is offensive and is something one would expect from a neo-Nazi writer. First, we do know what happened to Grynszpan: He was beaten, tortured, and then murdered by the Nazis. We also know that Grynszpan’s actions did not “cause” kristallnacht: Nazis caused kristallnacht, so Herschel is not “responsible” for Kritallnacht (you begrudge Goebbels and Streicher some credit?). 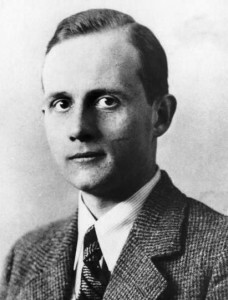 This so called “misfit”, “disgruntled”, and “adrift” that you also mock, from the safety of your home in America, was a hero of the Jewish people because he took action against a Nazi, well after Nazis had declared a racial war of genocide against the Jewish people, and well after the Nazis had already committed war crimes against the Jewish people (the Nuremberg racial laws of 1935 are considered war crimes, as well as the forced “deportation” of Germany’s Jewish citizens, and the stealing of their property, etc…). If Jews had emulated the heroic act of Grynszpan, or paid attention to Kristallnacht, the Nazi murderers would have paid a heavier price, or maybe many more Jews would have lived. But all of those arguments probably don’t mean anything to someone as concrete and pragmatic as you. So let me put it this way: Your daughter would probably not be the great macher and light unto the world that she is, by selling Jewish rosaries, if she faced the conditions that Grynszpan and his family, or any other Jewish teen and their family, faced in 1938 in Nazi Germany which is where Grynspan’s family was from, even though they retained their Polish citizenship, which was of no value at that time. At best she would have been “adrift”, “misfit”, and if she cared about anyone, “disgruntled”. Before you apologize for such a desecration of a murdered hero that endured torture beyond imagination, for standing up against a genocide aimed at you, ask yourself why you hate yourself so much. Let it go. Yet another rag for “different” Jews who make a pretense of protest against the ruling gang members.